One of the best things about staying in San Jose is that you are literally just a hop, skip and jump away from a different adventure in each direction. And if you are looking for adventure in Costa Rica, canopy tours, canyoning tours, and waterfall rappelling are all the rage and all within reach from the Central Valley. 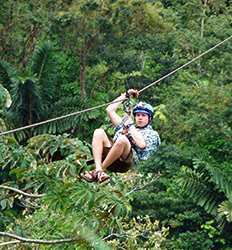 Costa Rica was the birthplace of canopy tours, so your vacation would not be complete without booking at least one zipline tour in San Jose. 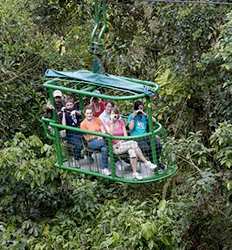 Canopy tours in Costa Rica are fun and safe for the whole family! From zip line to zip line soaring high above the rainforest, our San Jose canopy tours are sure to be the highlight of your trip to Costa Rica. Want to take your adventure up a notch? Put your nerves to the test and take a leap of faith on one of our San Jose canyoning or waterfall rappel tours. A little too much adrenaline for you? 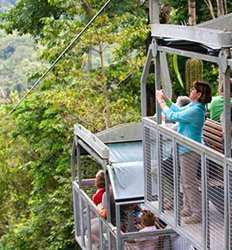 Take it down a notch on our Rainforest Aerial Tram where you will can get the same tree-top canopy experience from the safety of an open-air gondola. Take a look at all the Canopy, Canyoning & Rappelling tours departing from San Jose and choose your own adventure today! Our Canopy San Luis tour is such a blast, you´ll want to go twice! 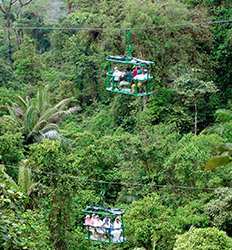 Set amidst the picturesque cloud forest of Cost Rica´s Central Valley, Canopy San Luis has created a system of 12 different zip lines & 18 platforms to offer you the experience of a lifetime. Canopy San Luis is an all-natural high that we can´t wait for you to experience! With this exciting adventure combo, you can experience the adrenaline pumping fun of a canopy tour and the thrill of white water rafting the Sarapiqui River all in one super one day tour! 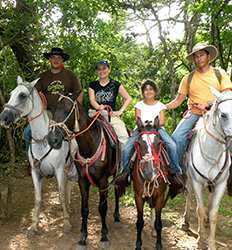 Taking advantage of this super combo is an excellent way to get more bang for your buck and pack a little more fun & adventure into your Costa Rica vacation! Combine a scenic drive through the Braulio Carrillo National Park, a floating wildlife safari on the Sarapiqui River, bird watching and wildlife spotting while hiking through Selva Verde and breathtaking views from Costa Rica´s famous aerial trams and what do you get? 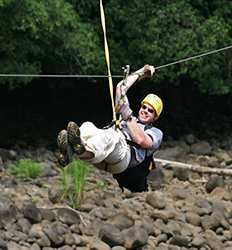 The Rainforest 3 in 1 Adventure, also known as the best tour in Costa Rica! 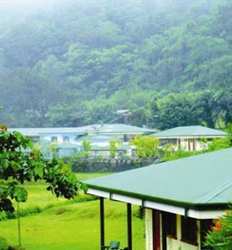 Costa Rica Rainforest Adventure 3 in 1 deposit is $25.00 per Adult and $20.00 per Child. This tour departs Wednesday through Sunday at 7:00 AM.